According to the Pew Research Center, Millennials are projected to overtake Baby Boomers as America’s largest living adult generation in 2019. Millennial growth is largely fueled by immigration, which is adding more numbers to their group than any other. The generation has been the largest in the labor force since 2016 and in a tight employment market, recruiting and retaining across all retailer positions is challenging. 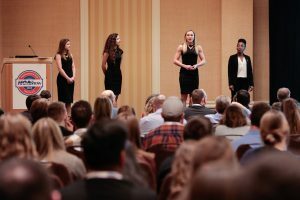 Students participating in the case study competition will explore how independent grocers can encourage millennials – especially those from diverse backgrounds – to join their ranks? Hear the two finalists present their solutions to a panel of industry judges and see which university will claim the title of 2019 champion. Interested in judging the NGA Foundation Student Case Study Competition? Please contact mwhite@nationalgrocers.org. 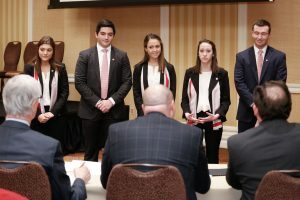 Click HERE to learn more about the NGA Foundation Student Case Study Competition. 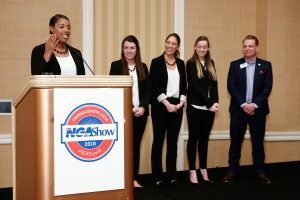 Click HERE to view pictures from student programs at the 2018 NGA Show.